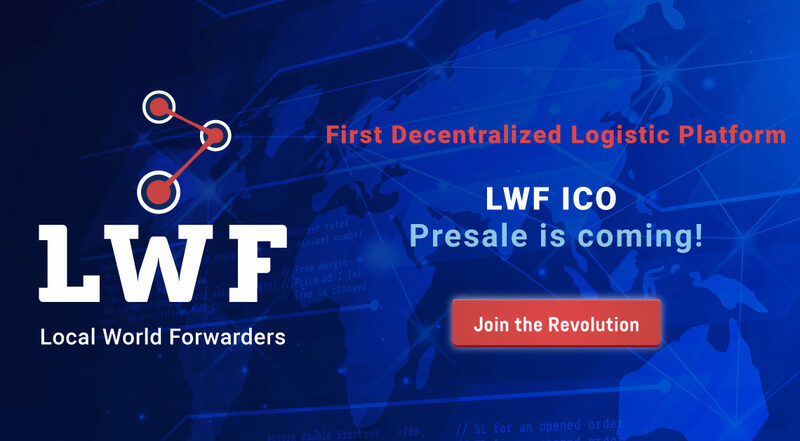 ICO LIVE- LWF.Local World Forwarder, the world’s first decentralized logistics platform. ICO LIVE- LWF.Local World Forwarder, the world’s first decentralized logistics platform. Change the concept of logistics with P2P and decentralization As Uber did for shipping! FIRST ICO WITH BUYBACK GUARANTEED AND 50% OF PROFITS IN DIVIDENDS EVERYMONTH! When someone thinks about logistics, the first thing that comes to mind is: DHL, UPS and, why not, Amazon or other major service providers involved in the global delivery system. More than 88% of the world’s packages are managed by a third party company. They take the package forwarding it through one of these large companies. All this to get a profit from the final customer. When Uber started they asked themselves: “why should transport be so expensive for people?” and: “how can we make a profit for us and for the citizen?” so Uber was born. Well, for LWF it’s the same. We have noticed that in many countries in the world retail products are very difficult to find on time and at a good price against Europe / US’s main market; this due to a lot of reasons: protectionism, fear to ship in some countries, control of the price around the world by the big companies and of course the poor logistics services in the growing-up countries.